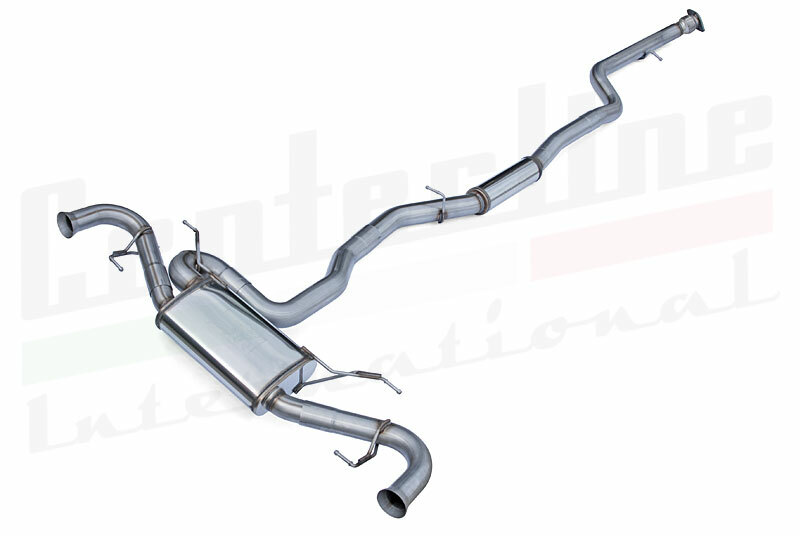 I'd like to introduce everyone to our new Stradale exhaust for the Stelvio. 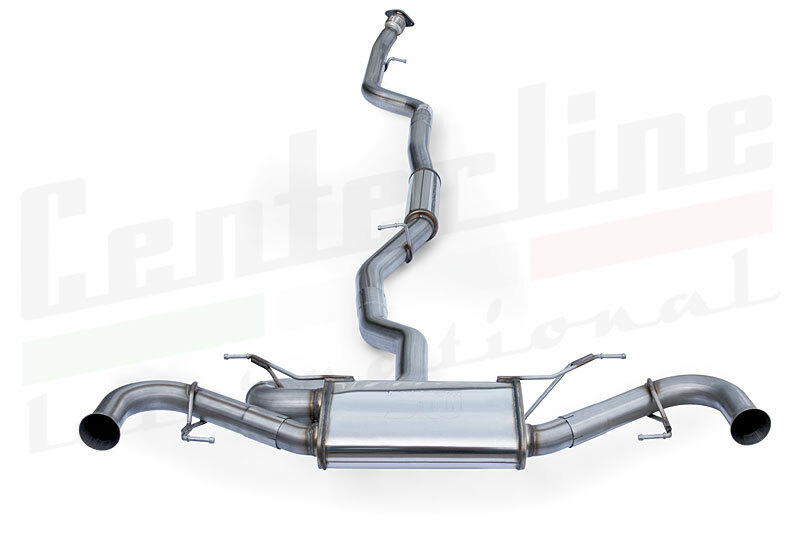 This is a stainless steel 3.0" diameter cat-back exhaust that is made exclusively for us by Magnaflow. We took great care to focus on overall tone and sound quality and aimed for a "just right" sound level that is 100% appropriate for the Stelvio. 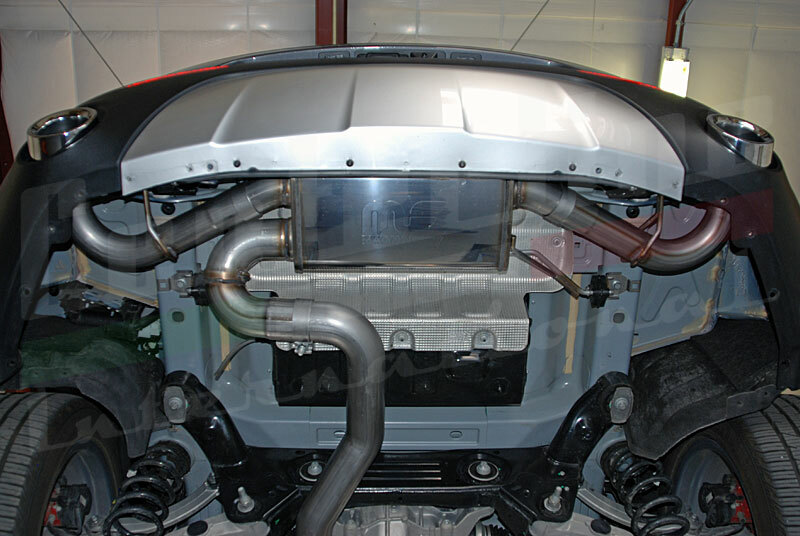 The system has a deep bark under acceleration but is quiet and unobtrusive during cruising. 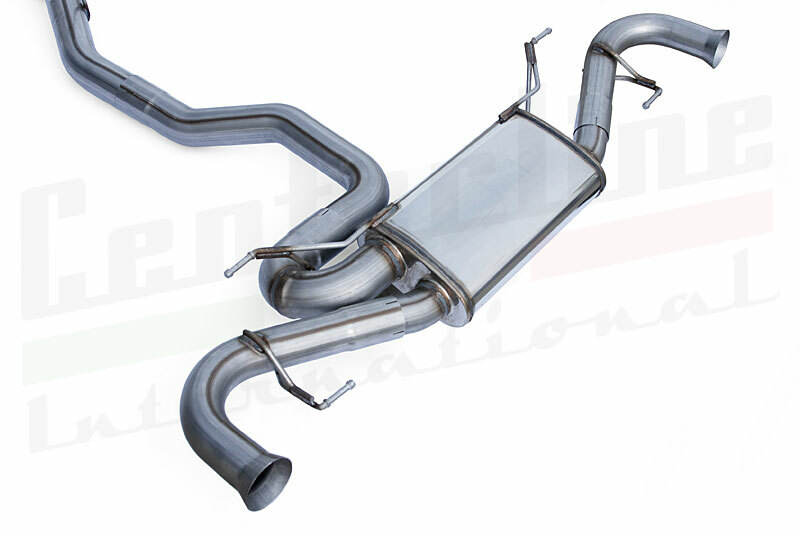 For those of you that are familiar with our exhaust system for the Giulia, the sound is similar (deep and smooth) but with less overall volume and absolutely no drone. We've actually had these in stock for several months, however they arrived to us during a very busy fall (we moved to a new warehouse and offices during that time period) and we didn't have much time to promote or educate our customers about the system. So I thought I would start this thread in case anyone has questions about the system. We have a special offer for the first 10 StelvioForum members who want to order this system. 1) We will offer $100 flat-rate shipping within the Continental USA. The system usually costs between $150-$175 to ship domestically, so this is a good deal. 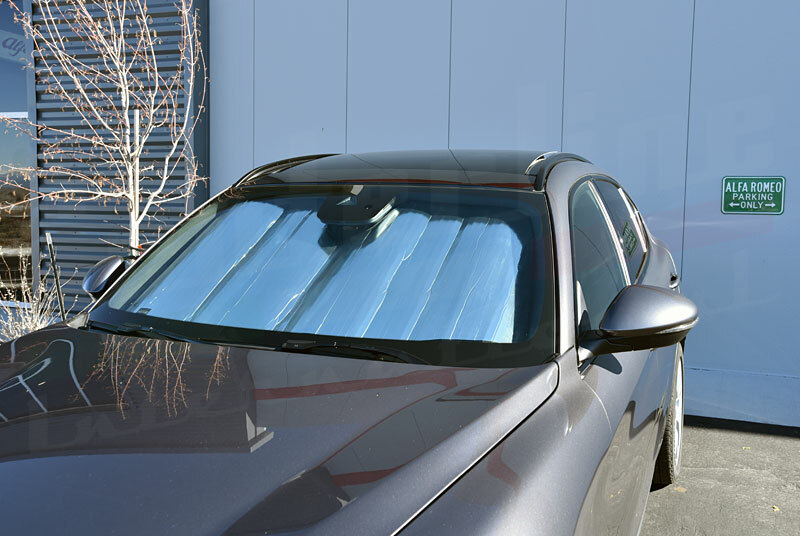 2) We will include a free custom-fit roll up Stelvio sunshade with bag (see below). 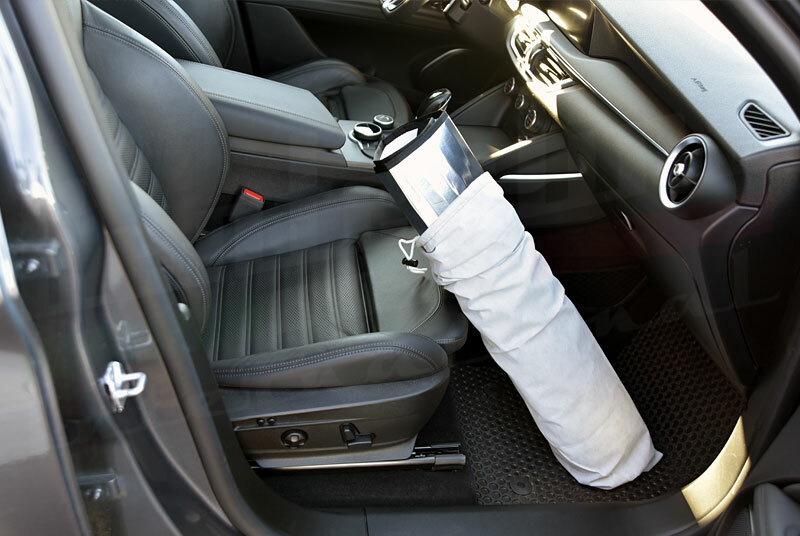 These are great for keeping the interior of your Stelvio cooler during the summer months. If you want to take advantage of this offer, simply mention the StelvioForum when ordering by phone, or include your StelvioForum username in the comments when checking out online. You will be charged the standard shipping costs online, however we will adjust your order to reflect the $100 flat-rate shipping before it ships. I won't do business with you guys. Incredibly disappointing customer service. I tried like **** to get you to send even a tiny sound clip and it was just excuse after excuse. I imagine it's a fine exhaust, customer interaction is way more important to me than the product itself. I tried like **** to get you to send even a tiny sound clip and it was just excuse after excuse. This one, embarrassingly, is completely on us. This customer did in fact email us this fall looking for a sound clip. In response, we shot a short video and posted it on our web site. However, in an *epic fail* nobody notified the customer that the video was available.